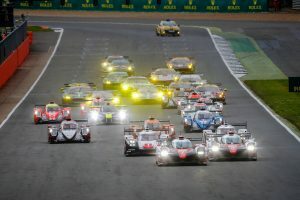 The FIA World Endurance Championship resumes this weekend at Silverstone for its third race of its 2018-’19 season. For both Silverstone and the FIA WEC, this week marks a different event than in years past. Silverstone had traditionally served as the kickoff to a new season. Now, it stands as the first race after the 24 Hours of Le Mans, and the start to the “rest” of the season. After Silverstone, there’s another couple month break before further flyaway races in Fuji and Shanghai. Races in Sebring, Spa and Le Mans come after the calendar flips to 2019. Alas, Silverstone marks the beginning of the true championship push. 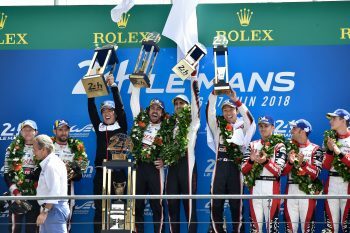 At Le Mans, a race win stood as the focus. All but four of the 34 cars entered for the Six Hours of Silverstone race with Michelin tires. Toyota Gazoo Racing’s trio of Fernando Alonso, Kaz Nakajima and Sebastien Buemi have won the first two races in style. Both have come in 1-2 finishes over the sister car. Alonso is due to make some announcement about his racing future on Tuesday. This will be his second Silverstone race in as many months. He finished eighth in Formula 1’s British Grand Prix with McLaren. The other past Formula 1 World Champion in this year’s FIA WEC field, Jenson Button, highlights the list of British heroes racing on home soil. He’ll be in one of SMP Racing’s BR1 Engineering LMP1 cars. Others include Button’s LMP1 compatriots Mike Conway, Oliver Webb and Ben Hanley, then Anthony Davidson in LMP2, Andy Priaulx, Harry Tincknell, James Calado and Alex Lynn in GTE-Pro and Jonny Adam, Charlie Eastwood, Michael Wainwright and Ben Barker in GTE-Am. Aston Martin has reshuffled its lineups in both GTE classes. Darren Turner takes a step back from a Pro car and resumes at Sebring next March. Adam replaces Yuan Hankey at TF Sport’s Am class entry. The Aston Martin Pro cars are down to two-driver lineups for the rest of the year. Ford’s No. 66 and Porsche’s No. 92 cars have split the GTE-Pro wins to start the year. 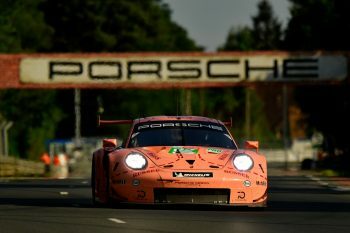 The latter win sees Porsche’s Michael Christensen and Kevin Estre – now back in a standard Porsche GT livery after their successful one-off in Porsche “Pink Pig” colors – eight points clear of Olivier Pla and Stefan Muecke in driver points. Porsche holds a significant edge in the manufacturer standings. Aston Martin and Porsche have split the GTE-Am class wins. In LMP2, G-Drive Racing has won both races on the road, but was disqualified from its win at Le Mans for an apparent fuel rig modification. This promoted Signatech Alpine Matmut to a class win. G-Drive and TDS Racing have appealed the disqualification. The teaser video for the event is below. The race schedule is linked here, with the race start at 12 p.m. local time.